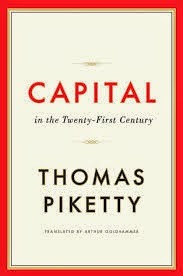 The book “Capital in the 21st Century” by French economist Thomas Piketty focuses on wealth and income inequality. It was originally published in August 2013, with its English translation released in March 2014. Last week, the book became the number 1 best seller on Amazon. The book suggests that 1) when the investment returns exceed economic growth, wealth becomes increasingly concentrated, 2) wealth concentration did not occur during much of the 20th century because of positive population growth trends and factors associated with the destructive forces of World War I and II, 3) wealth disparity may exceed levels of the 19th century and 4) political and social upheaval may increase. Piketty suggests the best solution is a globally coordinated tax on wealth. Piketty’s analysis is heavily data driven and he believes that “too much energy [by economists] has been and still is being wasted on pure theoretical speculation without a clear specification of the economic facts one is trying to explain or the social and political problems one is trying to resolve. The new methods often lead to a neglect of history and of the fact that historical experience remains our principal source of knowledge." the potential for increased income inequality in the future. the diminished role of organized labor. While Piketty’s view of the future may be negative, it may also serve as a catalyst for policy makers, business leaders and citizens to consider alternative paths for the future. Recent reports from China’s Ministry of Environmental Protection note that 1) 20% of the country’s farmland is polluted as a result of various industrial and agricultural activities – the leading pollutants s are cadmium, nickel and arsenic and 2) only three of the 74 cities it monitors met official minimum standards for air quality during 2013. 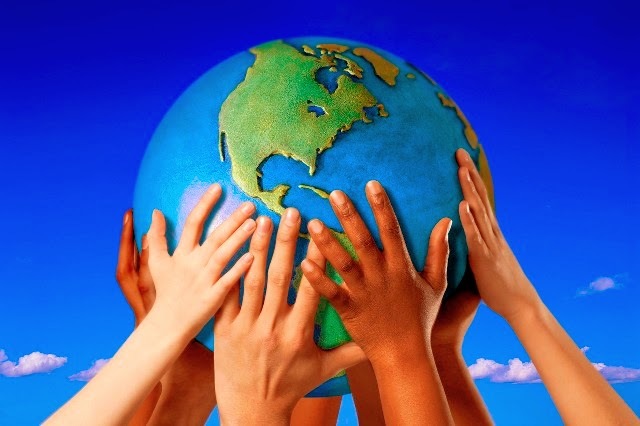 As Earth day approaches (April 22), debates continue about the validity of various environmental studies. More substantive topics for discussion should focus on the trade-offs between short term economic costs and long term environmental benefits. Even skeptics of climate change should concede that providing a cleaner planet to future generations is better than the alternative. Last week, researchers at Google and Codenomicon (in Finland) identified a security flaw in OpenSSL, a piece of security software used on the Internet. Known as the Heartbleed bug, the flaw may be active in about 17% of web servers, as well as some smartphones and other communication devices. While the flaw may have been in place for about two year, firms such as Google, Facebook, Yahoo and Dropbox said they have addressed the problem; but there are concerns that the National Security Agency (NSA) may have used the flaw in its surveillance efforts. 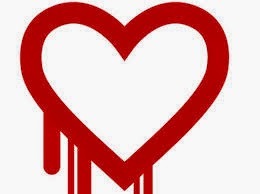 A U.S. government spokesperson said; "NSA was not aware of the recently identified vulnerability in OpenSSL, the so-called Heartbleed vulnerability, until it was made public in a private sector cybersecurity report,"
Regarding the Heartbleed bug – it is another example of the Internet’s complexity and privacy issues associated with rapid advances in technology. Regarding Windows XP – its installed base is a reminder that as technology advances, many “legacy” systems remain vulnerable to cyberattacks. Regarding the RAND Corp. – their report highlights that, within the mix of old and new technology, exploiting security flaws is a big and growing business. Bottom line - as Internet technology growth continues, threats to our privacy, data security and personal information will likely increase. These dynamics will result in both negative economic impacts and the creation of new business opportunities.